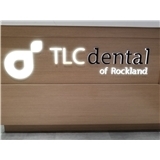 TLC Dental of Rockland (West Nyack) - Book Appointment Online! Our vision is to provide patients with the highest quality dental care in a relaxed, comfortable atmosphere. We will strive to earn our patient's trust and make health promotion through dental care our #1 priority.